Getting a tax refund? Considering using it for homeownership. Here are some tips on budgeting. 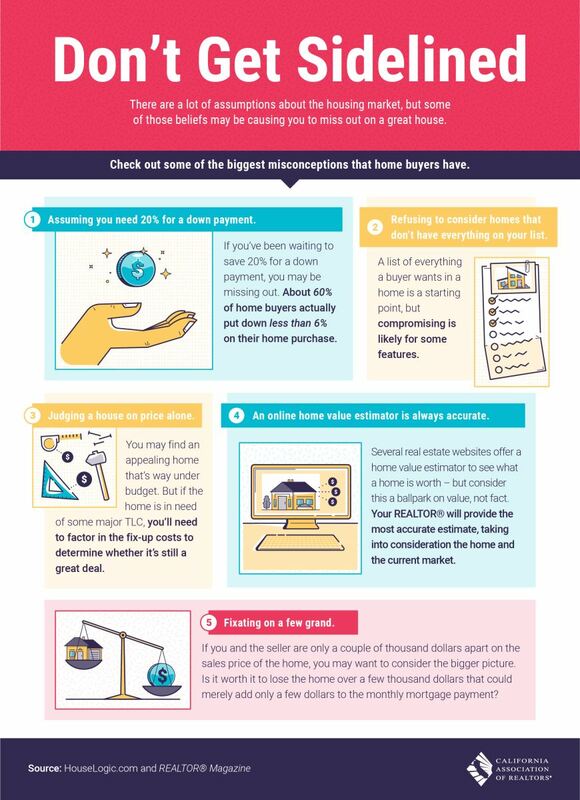 If you’re considering buying a home, you’ll want to steer clear of the many misconceptions and inaccurate information out there. 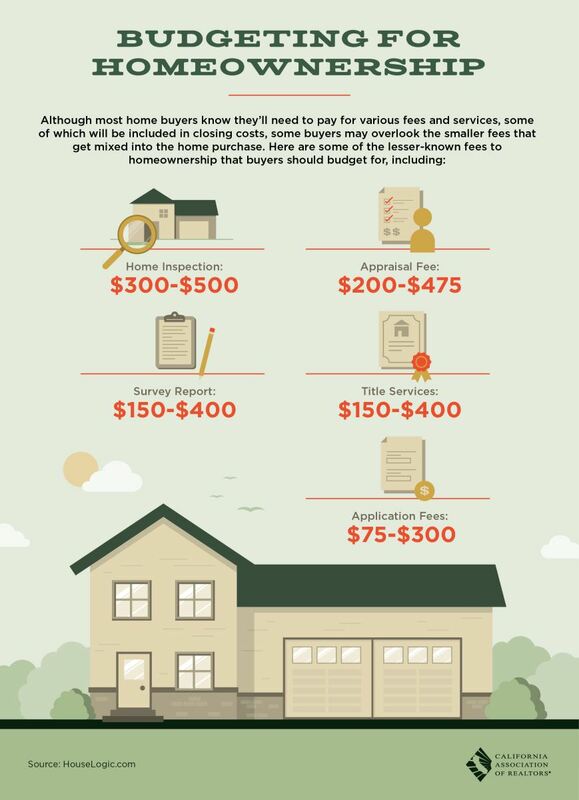 Check out some of the biggest misconceptions that home buyers have. It's certainly feeling like summer around here! 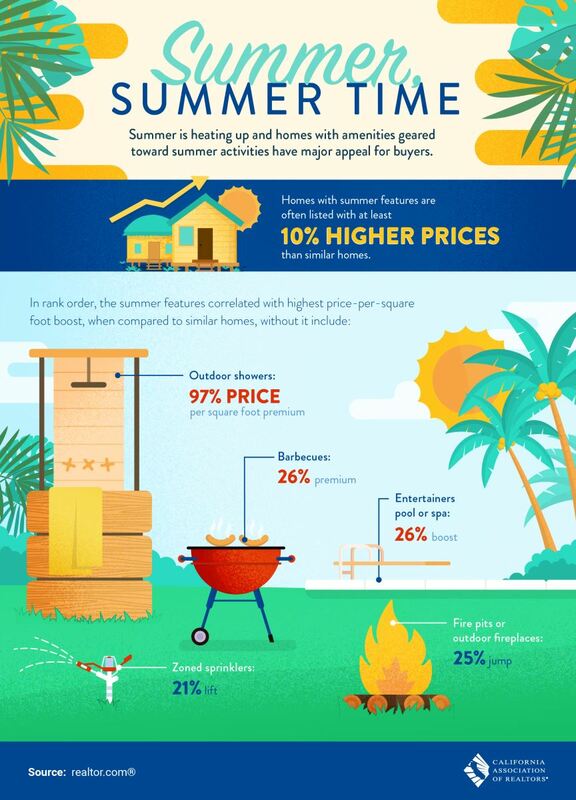 Is your home summer ready? Homes with amenities geared to summer activities offer extra appeal. Check out the graphic below for some interesting stats! If the previous occupants wanted to skip on some of their cleaning duties when they moved out, the kitchen is where they probably cut corners. Wipe down the inside of cabinets, clean out the refrigerator, clean the oven, and clean in the nooks and crannies underneath the appliances. And with all you'll be doing moving in, hiring someone to come clean isn't a bad idea! If you're looking to move in the near future give us a call at 805-238-1555. 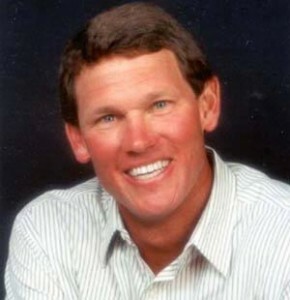 We've been selling homes in Paso Robles for close to 30 years and would love to help answer any questions you have! If you're like most homeowners you may be looking at a home improvement project in the near future. More than half the owners polled here planned to tackle a home project this year. 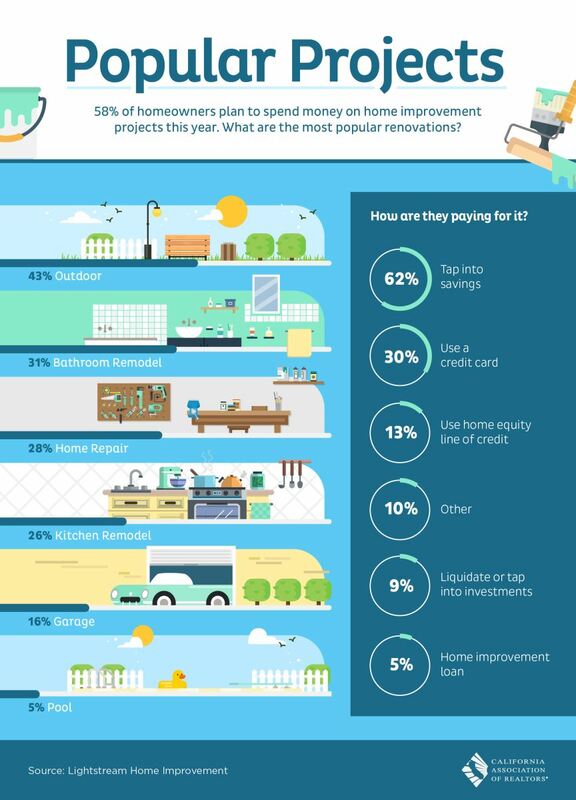 Take a look at the infographic below to see what they're spending their money on. Outdoor projects top the list, with bathrooms and general repairs coming in close behind! Our good friend and broker here at RE/MAX Parkside Real Estate just published a market update for North County. It's a great read - well worth a few minutes of your time! This is a report on First Quarter Real Estate Activity 2018 in North San Luis Obispo County. It has been a decade since the severe recession of 2008 and North County has moved forward quite nicely along with the rest of coastal California. In the coming months of May, June, July and August, we will see 40% of the total home sales for this year. The real estate season is open! Residential single family homes have an average sale price of $479,000 which reflects a robust 11% year over year price increase. Actual sales declined by 15% year over year as the supply of homes continues to shrink at the lower price points. The average days on market dropped down to 42 days from contract to close. There is still a dearth of new construction. More homes will be coming on the market from what I see in our office. At least once a week a million dollar plus property sells in North County. More million dollar properties will sell in North County than ever before this year. Additionally, we have a number of multi-million dollar deals going on right now. There are a few factors contributing to this luxury home sales uptick. These properties are selling below replacement cost today so the value proposition looks favorable to Buyers. More homes with vineyards are selling. There is still a good selection of quality luxury product available. Luxury product Buyers are more selective and value conscious. There is more Buyer activity in existing vineyard properties with homes and without homes. There are probably a couple reasons this aforementioned trend is happening. Our County water restrictions have highlighted the value of existing vineyards and historical water usage. Reason number two is that our grape prices remain firm. The groundwater situation continues to grow arms and legs. Once the government jumped in the control of the basins we most likely will head down a windy road until the dust settles over the next decade. This is not a political statement. We get what we elect. We live in a growing State and people have to eat. The supply issue of water will need to be addressed sooner rather than later. Currently the hospitality industry is the big story in North County. Paso Robles is leading the entire County in tourism and development for tourism. Wine tasting room sales have been solid. Paso Robles brands continue to expand across the world. This is a slow and steady process but it’s happening. The spector of higher interest rates hangs over the market but the reality is we still have favorable debt available and we have an economy that is as solid as we have seen since 2008. San Luis Obispo County continues to garner accolades like “the happiest place on earth” and “top places to visit in the world”. Right here, right now. I, for one, remain party fresh. 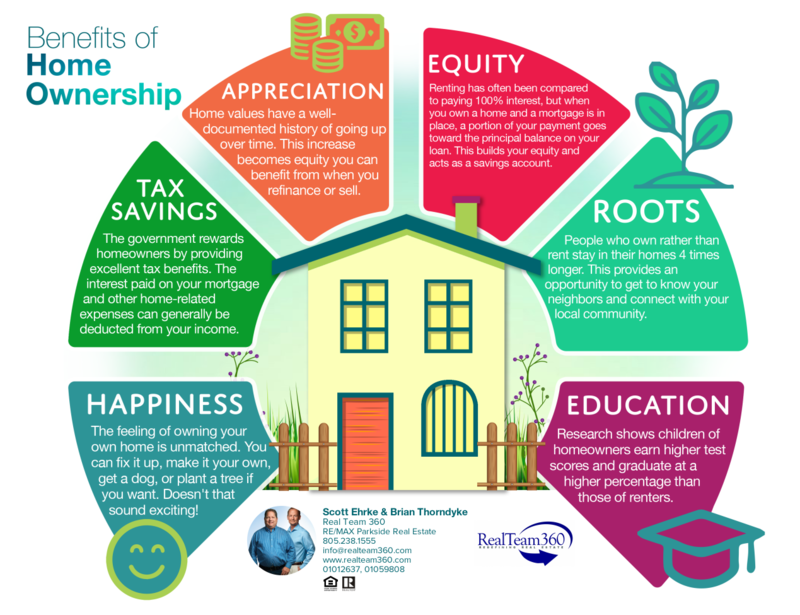 This infographic does a great job outlining some of the key benefits of homeownership. If you're looking to take the next step towards buying a home give us a call today! We can walk you through options and next steps whether you're a first-time homebuyer or getting ready to down-size. 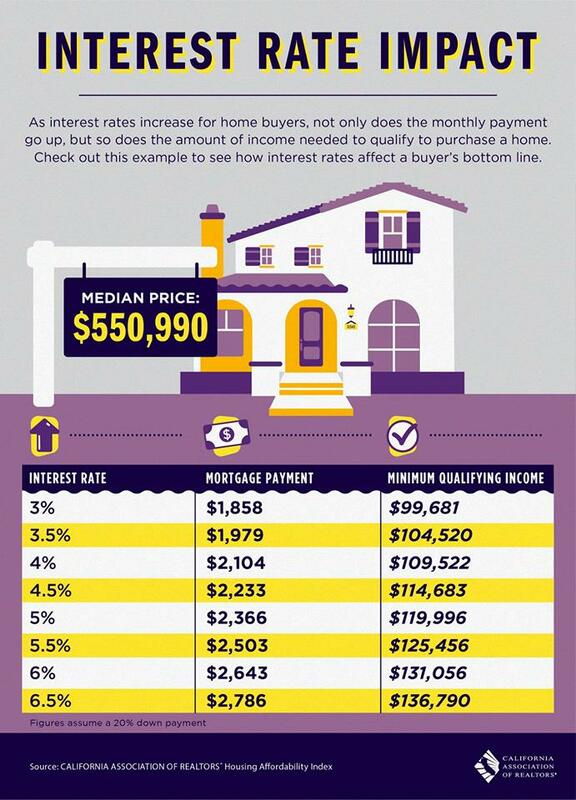 You’ve most likely heard the rule: Save for a 20 percent down payment before you buy a home. 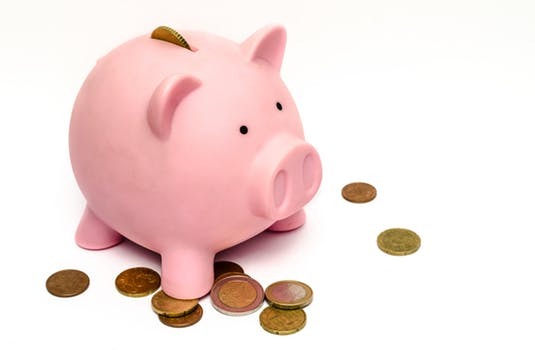 The logic behind saving 20 percent is solid, as it shows that you have the financial discipline and stability to save for a long-term goal. It also helps you get favorable rates from lenders. The downsides of a small down payment are pretty well known. You’ll have to pay Private Mortgage Insurance, and the lower your down payment, the more you’ll pay. You’ll also be offered a lesser loan amount than borrowers who have a 20-percent down payment, which will eliminate some homes from your search. Of course, your home payment options aren’t binary. Most borrowers can find some common ground between the security of a traditional 20 percent and an investment-focused, small down payment. We'd be happy to sit down with you and talk through what makes the most sense for your specific needs and goals. Give us a call at 805.238.1555 or email info@realteam360.com. 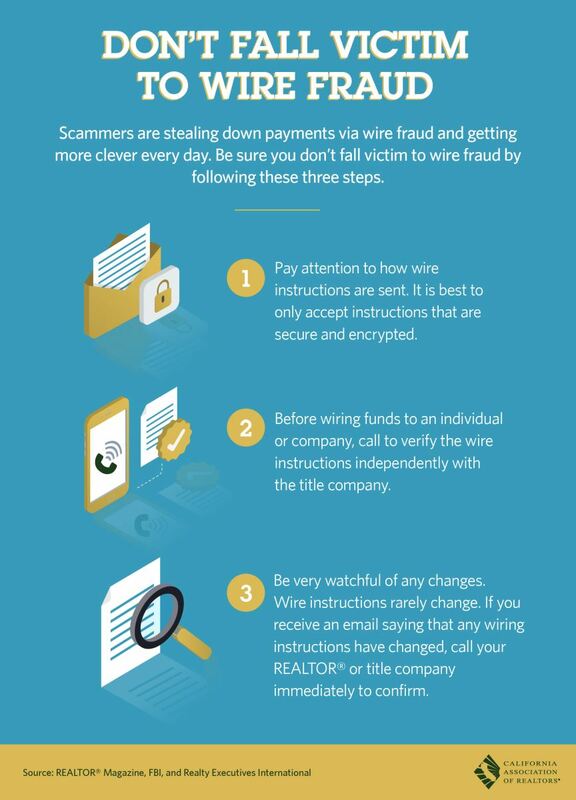 This is unfortunately becoming a big issue for homebuyers. Simple solution though - call and verify!